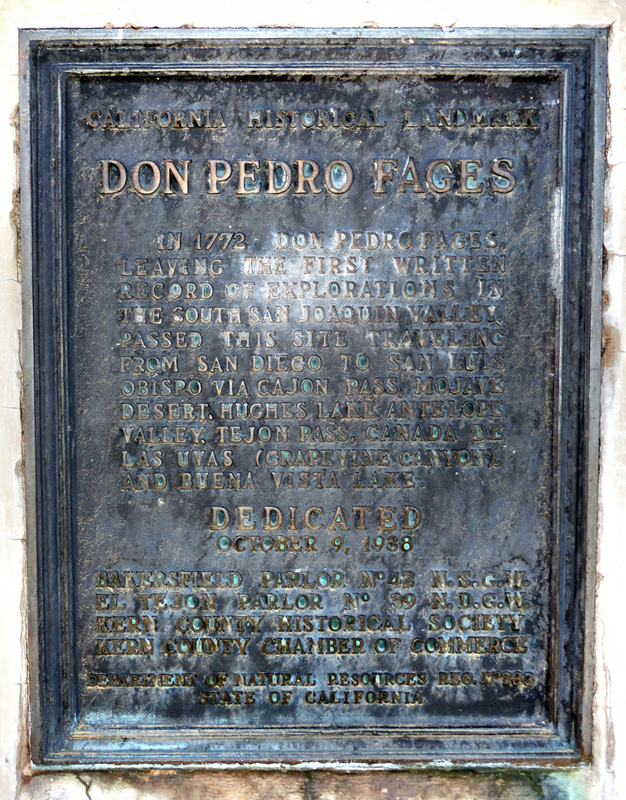 October 22, 2013 — Don Pedro Fages, California Historical Landmark No. 283 ("Top Of Grapveine Pass, Where Don Pedro Fages Passed In 1772"). In rather poor condition in 2013, the marker still stands on Lebec Road directly in front of the former location of the Hotel Lebec, where it was placed in 1938 — when the hotel was the fanciest stop along the old Ridge Route over the Grapevine Pass. 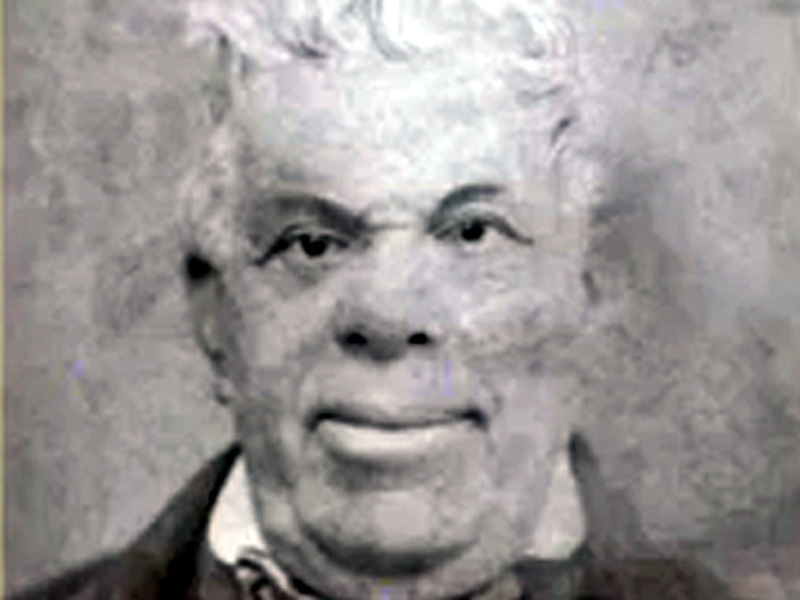 Pedro Fages ("Don" is an honorific) was a lieutenant in the Mexican Army when he gazed upon the Santa Clarita Valley for the first time in August 1769 as a member of the Portolá expedition. When he returned in 1772 in search of some deserters, he did so as governor of Alta California. Among the numerous place-names to his credit, he camped at Agua Dulce, which he named for its sweet water; at the top of Tejon Pass he named Grapevine Canyon (Cañada de Las Uvas), which we know as the Grapevine, for the wild grapes that grew there. Reynolds writes: "Capt. Pedro Fages was the commanding officer of the Presidio of San Diego before heading to Monterey in 1770 to assume command as governor of Alta California. In that capacity he made made several expeditions into the hinterland, one of which brought him along the banks of the Santa Clara River. 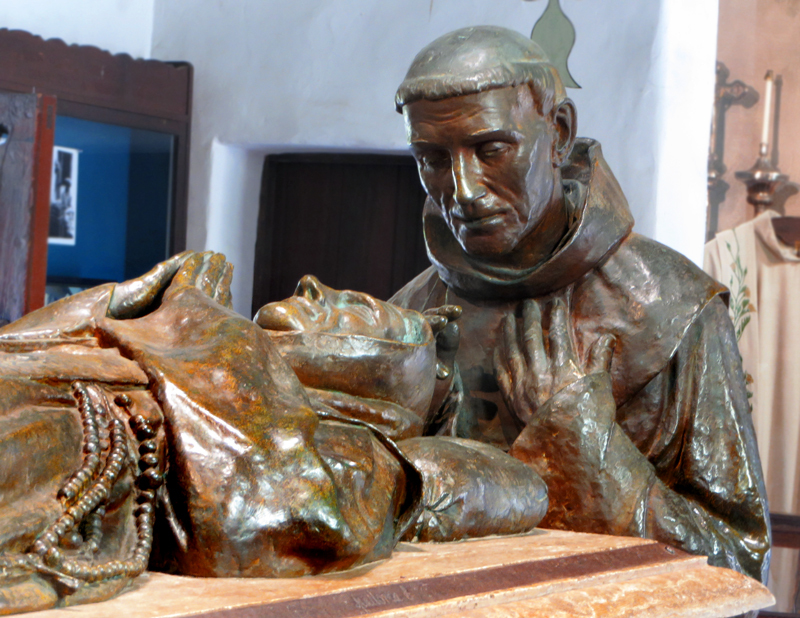 Several of his place names, such as Soledad and Agua Dulce, are still with us. "A tall, aristocratic Spaniard in his early thirties, Fages was a lieutenant in charge of the twenty-five Catalonian soldiers during the Portolá march to Monterey. He was considered a trail blazer, possessed of an inquisitive mind and a definite wanderlust." 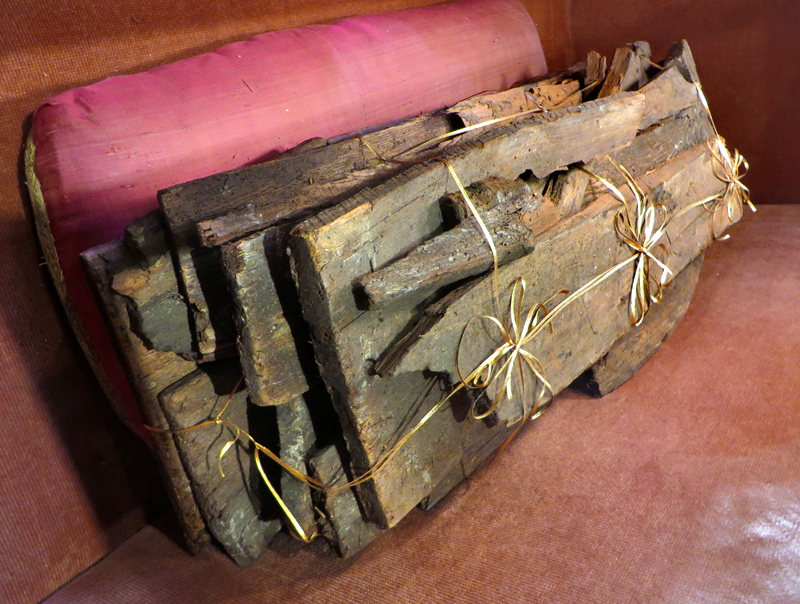 In 1772, Don Pedro Fages, leaving the first written record of explorations in the south San Joaquin Valley, passed this site traveling from San Diego to San Luis Obispo via Cajon Pass, Mojave Desert, Hughes Lake, Antelope Valley, Tejon Pass, Canada de Las Uvas (Grapevine Canyon), and Buena Vista Lake. El Tejon Parlor No. 39 N.D.G.W. N.S.G.W. and N.D.G.W. are patriotic fraternal organizations: Native Sons and Native Daughters, respectively, of the Golden West. Further reading: The Trail Blazer (Chapter 9 of "History of the Santa Clarita Valley") by Jerry Reynolds. LW2504: 19200 dpi jpeg from digital image by Leon Worden.